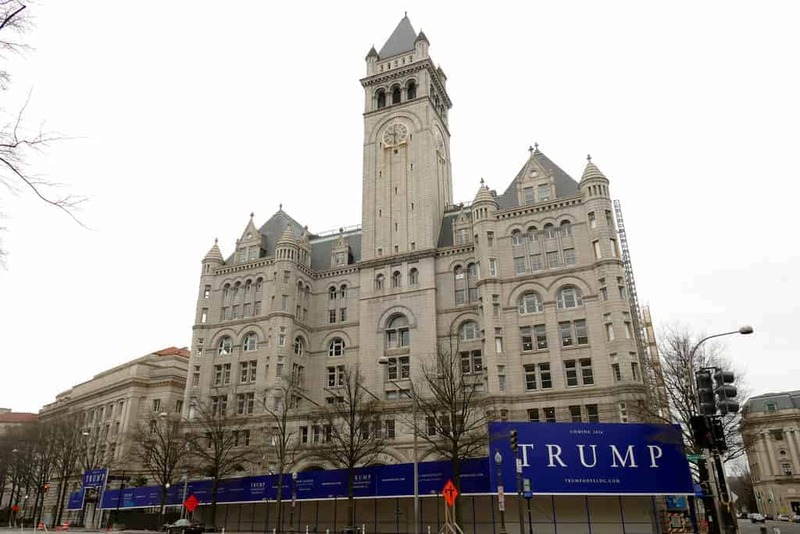 Donald Trump’s continued association with his organization’s Washington DC hotel has left him open to heavy criticism and a number of situations involving the hotel appear to violate the United States constitution’s Emoluments Clause. Heroes Vodka recently announced on their Instagram page that their product will now be carried at The Trump DC Hotel. The company is veteran owned, gives to charity and is connected to the Trump campaign. Journalist Zach Everson points out on Twitter that Heroes Vodka was introduced to the Trumps by Donald Bramer, a foreign policy coordinator. He also looked into the companies FEC filing, finding that the vodka maker made a donation to Trump’s Committee in February of 2017. This story is just one of many in Everson’s lengthy Twitter thread detailing the ways Trump profits from the D.C.-based hotel. Numerous organizations related to the GOP have held events at the establishment. Groups such as the NRA and Liberty University have held meetings at the hotel. Former Trump surrogates Anthony Scaramucci and Corey Lewandowski have held book release parties there. The hotel’s bar is also a local hotspot for the GOP’s movers and shakers. Any dollar spent at the hotel can theoretically go back into Trump’s pocket. The Trump families potential emolument violations extend outside of the DC hotel. This week reports emerged of Donald Trump Jr.’s business investments. Trump Jr. is a chief investor in a hydroponic lettuce company called Eden Green. He owns 7,500 shares in the company, a significant amount. While Trump Jr. doesn’t serve the White House in an official capacity, he has unprecedented access to the president. Companies like Eden Green can benefit tremendously from a positive relationship with the government. When Donald Trump took office, he refused to divest from his company’s assets. This had created a situation where the president benefits every time his company sells a product. Time will tell if an investigation into all these matters is ever made.